More than 600 people have died while cleaning septic tanks and sewers across the country in the past 25 years, according to data collated by the National Commission for Safai Karamcharis. According to an official, the figure may change as the statutory body is in the process of collecting details from states and updating the data. The exercise, the first undertaken by a government body to account for such deaths, gained momentum following the deaths of six men while cleaning sewers in the national capital in two separate incidents in the past week. According to the data, there have been 634 deaths related to manual scavenging since 1993, with Tamil Nadu reporting the highest number of such deaths at 194, followed by Gujarat 122, Karnataka 68 and Uttar Pradesh 51. Thirty-three persons have died while cleaning septic tanks and sewers in Delhi since 1993. “Also, there is no specific figure for those employed in manual scavenging. The contractors who hire people for such jobs do not comply with law. Manual scavenging was banned in the country in 1993,” the official said. 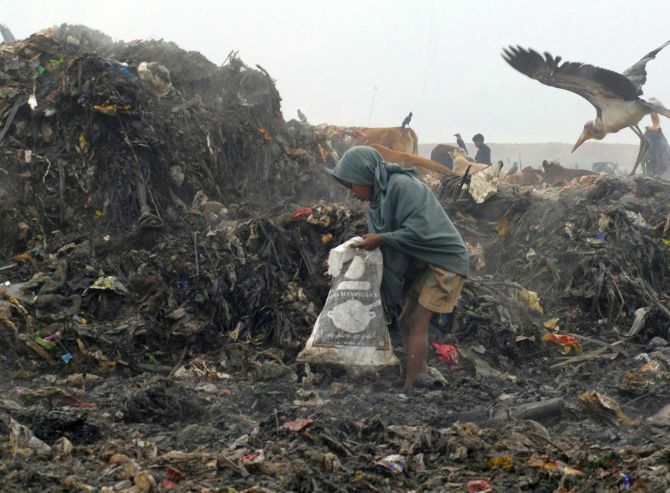 NCSK is tasked with safeguarding the interests of persons engaged in manual scavenging. The Prohibition of Employment as Manual Scavengers and their Rehabilitation Act, 2013 provides for the prohibition of employment of people as manual scavengers and the rehabilitation of manual scavengers and their families. Experts feel a lack of accountability on the part of authorities, improper implementation of laws, existence of insanitary latrines and poverty are the reasons for a large number of such incidents. Five men died due to asphyxiation after they entered a sewage treatment plant at a housing complex in west Delhi’s Moti Nagar on September 9. In another incident, a sanitation worker died while cleaning the sewer of a building in Dwarka’s Dabri area, police said. “These deaths are unacceptable. It’s a serious matter. Those in authority do not want to take responsibility for the deaths. This matter should be resolved,” said Bezwada Wilson, Magsaysay award winner and campaigner for eradication of manual scavenging. According to the experts, the law related to manual scavenging if not implemented properly. “Judiciary has completely failed in its part. The court has not taken sou motu cognisance of the issue. Not even a single person has been prosecuted so far,” Wilson claimed. Holding the government responsible for failing to curb these deaths, Wilson said the Centre and states have failed to curb the rate of sewer deaths. “The Centre does not have a definitive policy on the matter. Over the years, it has done nothing major to curb the rise in such cases,” he added. Wilson recommended that the people engaged in such activities should be identified and a rehabilitation package should be provided to them. Sewage systems should be modernised and proper mechanised equipment should be used to carry out every-day sanitation work and usage of such machines should also be promoted extensively and the causes of the problem need to be analysed. A member of the National Commission for Safai Karamcharis said they conduct spot visits and ensure that the victims are given compensation. The Supreme Court had directed authorities to pay a sum of Rs 10 lakh to the affected families. How can this disgraceful situation continue?